Leveraging on our expertise, we are offering Vanulath Dryers which is widely appreciated by our clients for its high performance and hassle free functioning ability. These are designed and fabricated by our competent engineers and technicians with the help of advance Dryerd technology. 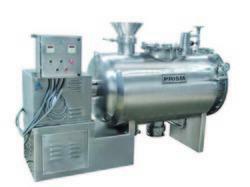 Wet feed is charged as a batch and is subjected to indirect heating while undergoing agitation due to the action of paddle mixing, The operation is normally carried out in vacuum. Recovery of solvent is possible by condensing the vapours generated during the drying operation. - Floor Mounted Blower with Control. 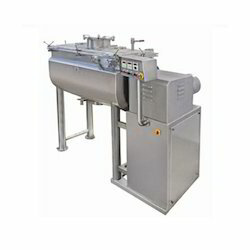 Tray dryer is exclusively used nowadays in Food industry for baking products. The food powder used to make products are dried using this tray dryer. it is also used to dry pigment & chemical powders. Our esteemed clients can avail from us a wide range of Used Vacuum Dryers. Our deft team of professionals suppliers this offered range keeping in view all the requirements of our valued clients as par the market developments. We are engaged in supplying used Vacuum Dryers.